The JENSEN® JCR-208 AM/FM Alarm Clock Radio is a simple, sleek design. 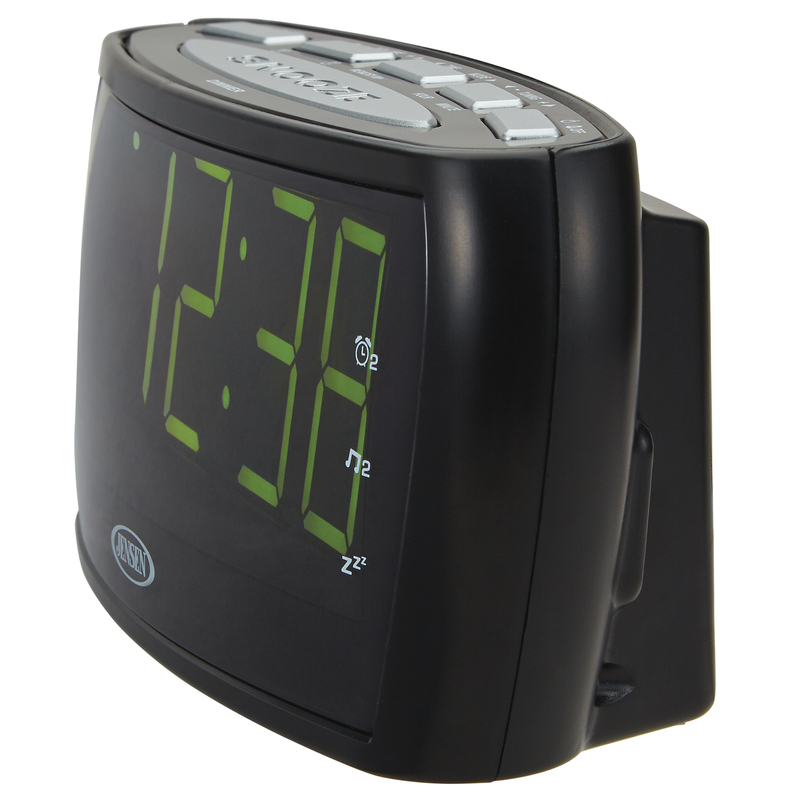 It features digital PLL Tuning and a large easy-to-read 1.8” green LED display with a high-low dimmer switch. 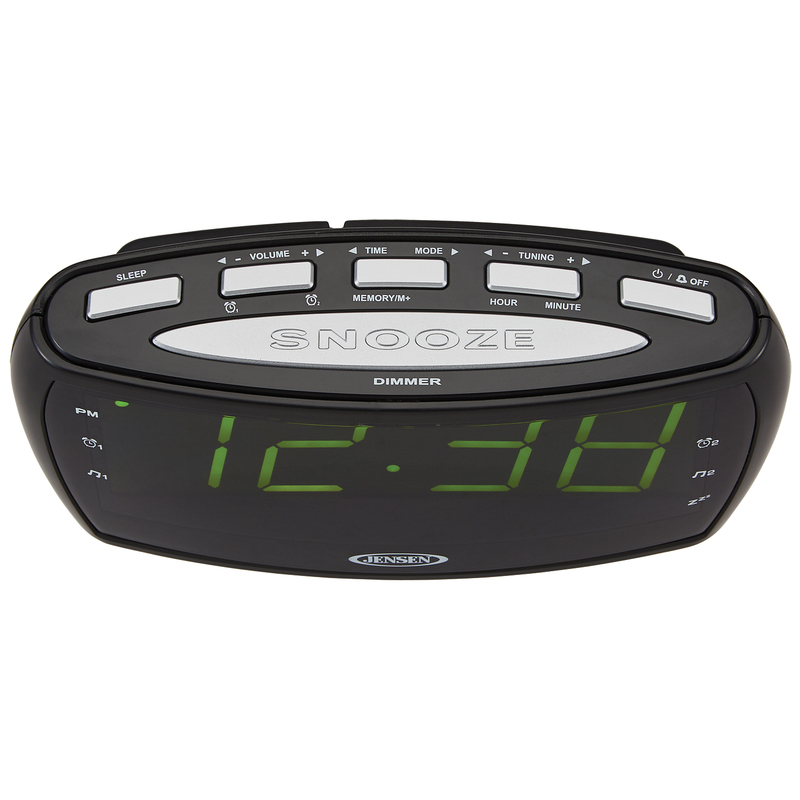 Fall asleep to the radio, wake up to your favorite station or a traditional alarm, and get a little more sleep when you need it with an easy-to-locate snooze button. Can't find your favorite tunes on the radio? 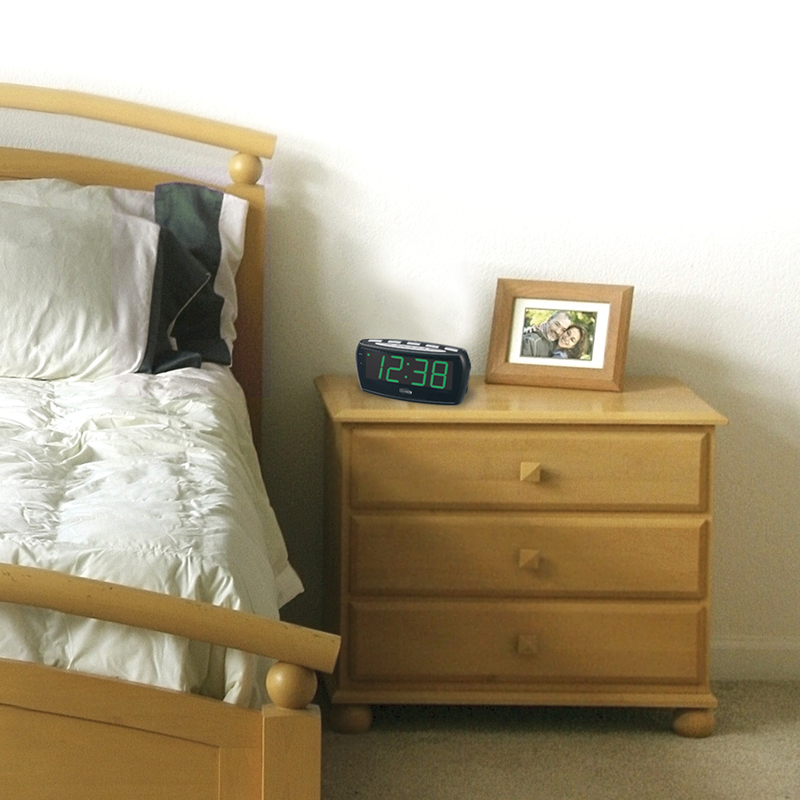 You can plug in your iPod®, MP3, or other digital audio players with the auxiliary input jack. Don't let getting up get you down. 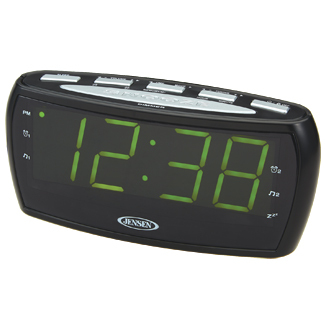 Start the day with a smile when using the JENSEN JCR-208 Alarm Clock Radio.